A natural soap made with luxury oils and shea butter for skin conditioning. Suitable for face and body, goats milk is particularly good for dry skin or eczema too. Smooth and creamy goats milk soap with a great lather. This polishing bar can remove dirt, excess oil and impurities without the use of soap. Your skin will feel clean, fresh and soft without feeling dry or irritated. Ideal for face, hands and body. It is intended for routine use one both normal and sensitive skin. mild and gentle. Free of dyes, Fragrance, Masking Fragrance, Lanolin, Parabens, Formaldehyde. (1) Lather the bar straight onto your hair, or use hand to create lather and transfer to your hair. Both ways work just fine. You don’t need much as the lather is rich. Smooth and creamy soap bar made with 100% coconut oil and loads of coconut milk for a super creamy lather that is perfect for sensitive or dry skin and hair. Dove Bar Of Beauty Soap. Fragrance: Shea Butter. Luxury Bar Of Beauty Soap Dermatologically Tested. Beautifully Presented In A Colourful Box. Purely For Pampering Your Skin. Remove Freckles. Enriched with handpicked Black seed oil,, Olive and Coconut Oil. Your skin will feel more soft and supple after every use. Remove Acne. Black Seed, Olive Oil and Coconut Oil Soap. Made lovingly by hand in small batches using skin nourishing Shea Butter and vitamin enriched Black Seed, Olive & Coconut oils in a pure plant base that is extra gentle to skin. Savon extra doux, SANS COLORANT, SANS PARFUM ET SANS PARABEN. Dove White Soap 100g. Weight: 100g (Approx.). Beauty cream bar. Its dosage is specifically calculated to suit daily use for all skin types. This soap looks after your skin in a natural way. Aleppo Soap. Natural Aleppo Soap Laurel 12% BLO Normal to Mixed Skins. Natural soap with a tropical scent made from 100% food grade coconut oil and coconut milk. It has a lovely creamy, plentiful lather. It is suitable for face and body as it is a gentle soap. It has a crinkle cut finish, a cigar style paper band and soft tissue wrap to complete it, so makes a special gift too. This nourishing Shampoo Bar is made withCastor Oil to create a deeply conditioning, creamy lather that cleans and cares for your locks and scalp. contains castor oil to create a deeply conditioning, creamy lather. The scent of the countryside to refresh the senses. Includes the earthy fragrances of patchouli and freshly cut grass. 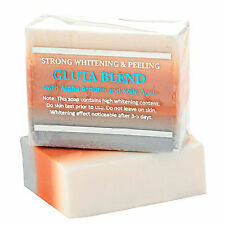 This soap has added kaolin clay for silkiness and skin purification. Smooth and creamy soap with a great lather. (Eine wunderbar leichte, erfrischende Seife mit viel pflegender Aloe Vera. Sheabutter und Aloe Vera Saft pflegen, heilen und schützen empfindliche Haut. Sie duftet sehr erfrischend und aromatisch nach Aloe Vera und hat einen sehr feinporigen, cremigen Schaum :-). Dove Purely Pampering Shea Butter Beauty Bars. 2 Bars in total. - 2 x 100 g.
SilkEssence, Jasmine & Almond Oil - 100g each. 4x Lux Velvet Touch Soap With. Aleppo Soap. Aleppo-Soap with Red Clay 100g. Clay Derive natural earth. The red color is due to the high level of oxidation of the land but the color depends on its physic-chemical composition, it can also be green, brown, white, yellow or gray. Rolencos Very Kind Soap. Fresh Wind (Spearmint) / Scent : Fresh Spearmint. Fresh Wind : Spearmint. 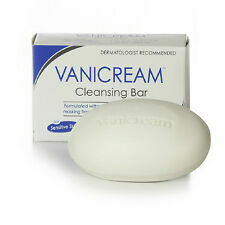 4.50 oz / 130g / 1 Bar Soap (Count). Revitale Collagen Eye Patches. Work up lather and massage in circular motions. 12 Piece Manicure Nail Set. With regular use, our soap can significantly help your skin stay clean and healthy. © General Healthcare LTD.
Peruvian Agua De Florida Water Soap. Used to clear heavy energy around the bodies energy field. Fresh light lemon scent. Fresh light citrus lemon scent. Cleanses Energy Body. Ceremony & Ritual. You Save £4.95. Our peony fairy shaped soap is another addition to our garden fairy collection. We dipped this fairy and her flowers in goat’s milk to enhance their details. We also stuffed it full of argan oil, shea butter, olive oil, aloe, and vitamin E.
Wildrosenöl-Seife ist eine handgemachte, kaltgerührte Naturseife mit rein pflanzlichen Ölen und Wildrosenöl aus kontrolliert biologischem Anbau zur Rückfettung.Wildrosenöl regt die Zellerneuerung an und gilt als ausgezeichnetes und ausgesprochen verträgliches Gesichtsöl für trockene, reife, aber auch entzündliche Haut.